You leave a conference super pumped about teaching Life Is Precious or one of our other lessons, but then all of a sudden it’s the end of the school year and you realize you haven’t had time to crack it open. You know that pro-life education is important for your kids (that’s why you bought the materials in the first place! ), but maybe you struggle to make it a priority in your children’s lives with everything else going on in your home. That’s okay! We’re available to help you. As we always emphasize, the culture of life is not something extra that you have to add to your already jam-packed schedule. The pro-life message can be woven into any conversation you have with your kids as you teach them how to show respect to others. You may not have an hour to spend on a picture book, lesson, discussion, craft, and other activities, but you likely have 15 minutes a few times a week. A quarter of an hour is a perfect amount of time to get the pro-life conversation started and to plant a seed that will grow and blossom as your kids grow. What can you do with your kids in just 15 minutes? Don’t have time to do a complete lesson? You could break it into sections; read the lecture portion aloud during lunch one day and do the craft the next day. Then save the puzzle, quiz, or coloring page for when you need your kids to do a little busy work. This will reinforce the lesson you taught a few days prior. The great thing about CLSP lessons is their flexibility to be broken into smaller chunks. Don’t feel hesitant about beginning a lesson just because you may not have time to finish it in its entirety in one sitting. Just get started! Families who have broken the lessons into a few days have expressed their amazement at how easy it is to do this and how well their children remember the material over the course of several small lessons. You can even use these lessons as conversation starters while watching TV or eating dinner. Use a saint’s feast day as an opportunity to complete a related craft with your kids. While they are doing a short craft from one of our lessons, explain how it relates to the culture of life. Even though you may just be making a handprint of a strawberry and talking for a minute about how small preborn babies are, you’re planting a seed of knowledge. This information may come up at the dinner table, on a long car drive, or even at the store. Soon your children may even start begging you to do our super fun lessons more often! 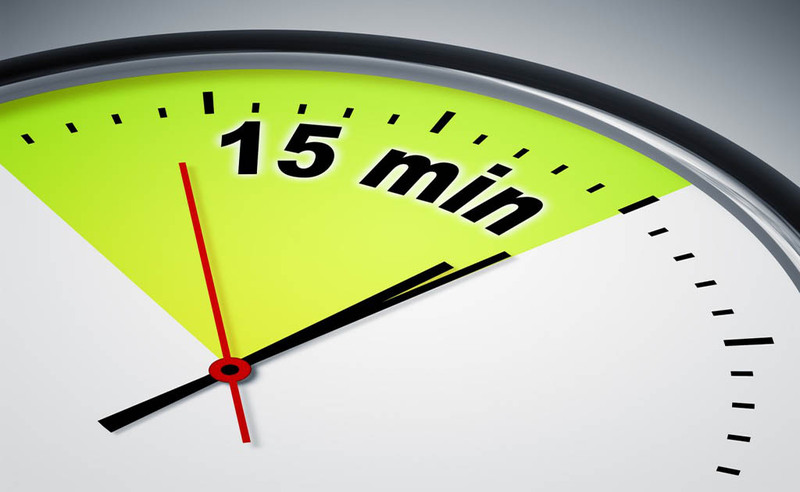 Fifteen minutes is plenty of time to read a book aloud (especially if it’s a longer book). Even if you don’t have time to discuss the book right then, reading books with moral themes to your kids opens the door for all kinds of conversations throughout the day. Life Is Precious and our other picture book lessons might seem overwhelming with all the discussion questions, crafts, activities, coloring pages, and puzzles, but remember that all of those things are tools to help you have pro-life conversations with your kids. If doing crafts doesn’t work for your family, skip them! Reading an article with your teen is a great way to start conversations about difficult subjects like suicide, immoral technologies, and legislation that doesn’t protect all babies. Use one of our high school lessons on pro-life citizenship, euthanasia, or the life of a saint and either have your teen read the lecture portion independently or read it with him. You don’t have to do the whole lesson to start great conversations with your teens. Using an article as a starting point to talk about difficult subjects makes it easier to begin a conversation. When your teen is finished reading the article, ask for his thoughts. Take the time to listen and find out what he has absorbed from what you have taught, and see how it differs from what our culture has taught. Your teen may struggle to see how pro-life principles personally affect him—especially if he’s grown up in a very stable environment. But as he grows it’s important that he be able to sympathize with someone facing an incurable disease, an unexpected pregnancy, or a diagnosis of fetal abnormality during pregnancy. It is also important that he is able to talk with others and be a voice of morality for someone who is tempted to embrace impurity in thought, word, or action. If he can picture these and other scenarios and begin to visualize how he would respond, he has a better chance of becoming a positive pro-life influence on those around him. Watching a movie takes a couple hours of your time. Instead of just shutting the TV off and sending your kids to bed, take 10 to 15 minutes to discuss what they have just seen. How did the characters behave toward each other? What virtues did they have? What virtues did they need to work on? Need helping starting the conversation? Download one of our free movie discussion guides from our website. In the pro-life movement today, we underestimate the power of education in building a culture of life. Students need a strong foundation to build the courage to stand up in public for their pro-life beliefs—whether among their peers, in a college classroom, or at the workplace. The Culture of Life Studies Program is here to help you raise pro-life leaders—kids who will transform our culture into a culture of life. Those 15 minutes each day that you are consciously laying aside for purposeful pro-life education will plant seeds for further conversation and will help when you encounter really difficult subjects. Pretty soon you won’t think twice about making every moment a teaching moment.